Once you've finished scanning your products, it's time to move that data to your computer. As we've mentioned before, you should have a designated inventory point person who is taking the scanners with files (laid face-down on the counter) and moving that information onto the computer. If you're the point person, just pick up the scanner and touch the screen or press the blue button and then 0 (zero) to finalize the file. Make sure the scanner is on the main scan screen before docking it! Otherwise, the section file name and count will not show in the file folder. 2. 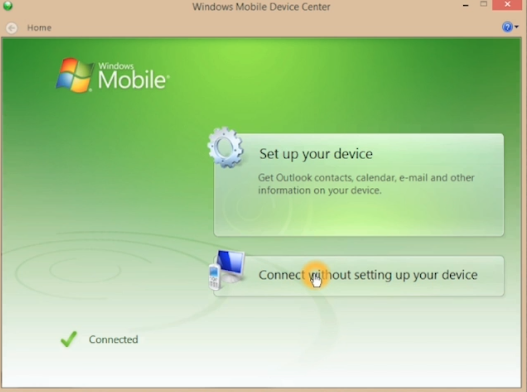 The Windows Mobile Device Center should launch. 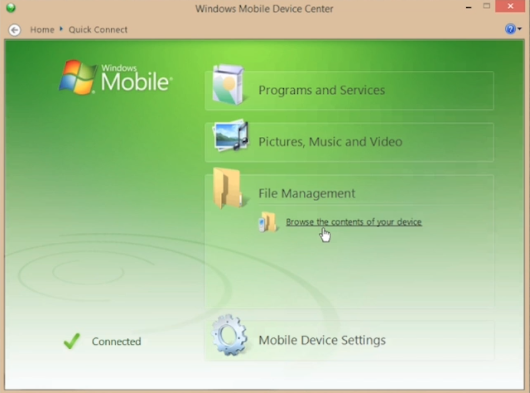 If it doesn't search for Windows Mobile Device Center on your computer, and open the program. 3. The Device Center should show that the scanner is connected. 4. Select Connect without setting up your device > File Management > Browse the contents of your device. 5. File Explorer opens. Select Storage Card. The file you're looking for should be labeled section[#]_count[#] (for example: section036_count104). 6. Right-click the file and select Copy. 7. Open your Inventory Files folder. 8. Hit Control + V on the keyboard to paste the file into that folder. 9. Write the section count number in the Scan count column on the Section status checklist. 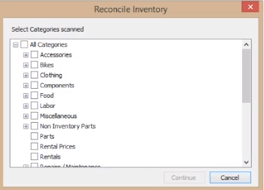 Before you start, go through the Inventory Files folder to make sure there are no section duplicates. 1. 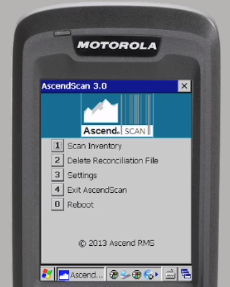 In Ascend, select Tools > Reconcile Inventory. 2. If you're doing a full-store inventory, select All Categories in the pop-up window. Otherwise, select the category(s) you scanned for the cycle count. 4. A popup appears if a scanner is in the cradle, asking to import the file from the scanner. Select No. 5. Navigate to where you stored the Inventory Files folder, and click into the folder. 6. Hit Control + A on the keyboard to select all the files in the folder. 8. The files will load. 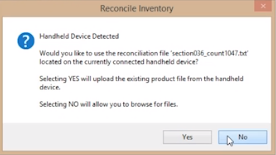 When it's complete, you;ll be taken to the Reconcile Inventory screen where you can address any discrepancies.